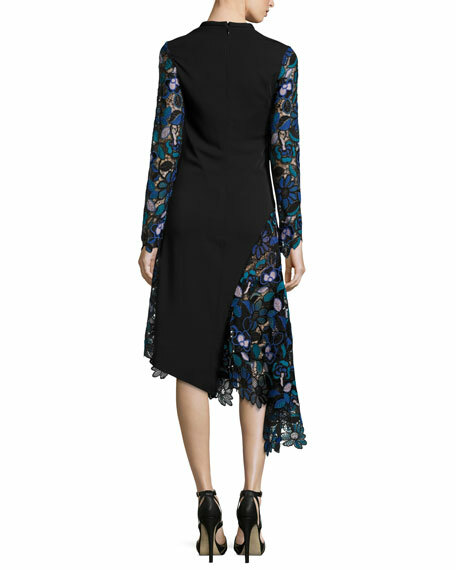 Self Portrait "Elora" midi dress in multicolor floral guipure lace with solid contrast panel at back. Self Portrait's decidedly feminine looks are executed with a devilish winklace dresses lose the romance and get tough; sheer panels and overlays make you look twice. The London-based clothing brand was launched in 2013 by Central Saint Martins alumnus Han Chong. The Malaysian native desired to create a contemporary line of cocktail dresses, jackets, and separates worthy of the red carpet. We think he nailed it, and so do his many celeb fans. For in-store inquiries, use sku #1924680. 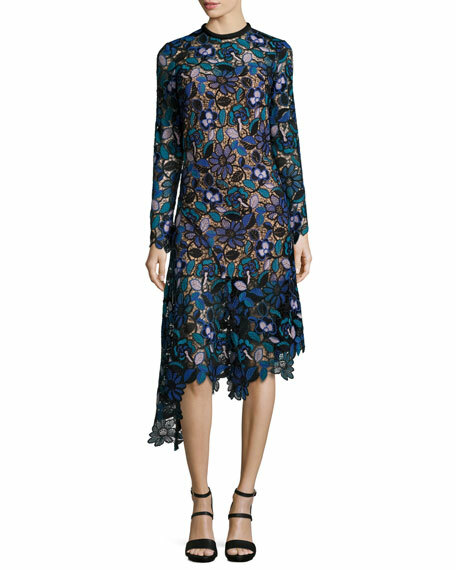 Jason Wu dress in sheer chiffon with ruffled lace trim. High neckline. Sleeveless; flutter detail on right. Bias-cut silhouette. Handkerchief hem. Silk. Made in USA of imported material. 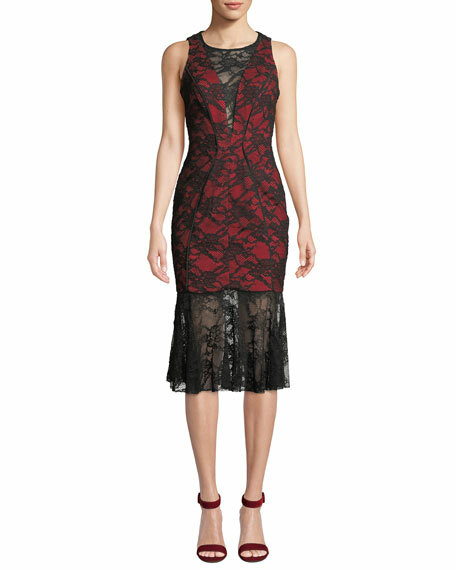 Jason Wu Collection dress in stretch ponte knit, featuring lace shoulder insets. Twisted mock neckline. Long sleeves. Sheath silhouette. Midi length. Back zip. Rayon/nylon/polyurethane. Lining, silk/Lycra® spandex. Made in USA of imported material. 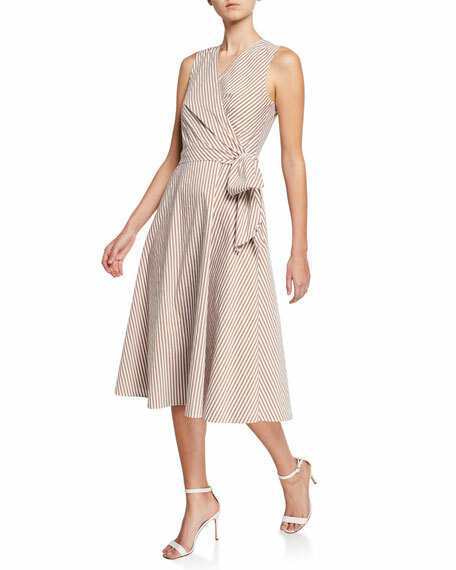 Kobi Halperin "Dina" striped dress featuring a faux-wrap front. V neckline. Sleeveless. Side bow detail at waist. A-line silhouette. 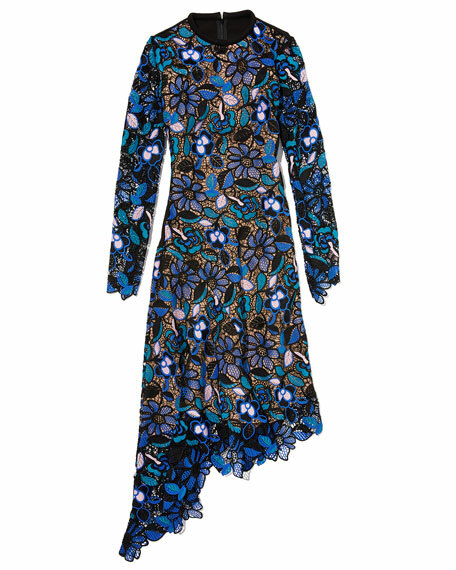 Midi length hem. Hidden back zip. Lyocell/nylon/spandex. Polyester lining. Dry clean. Imported.